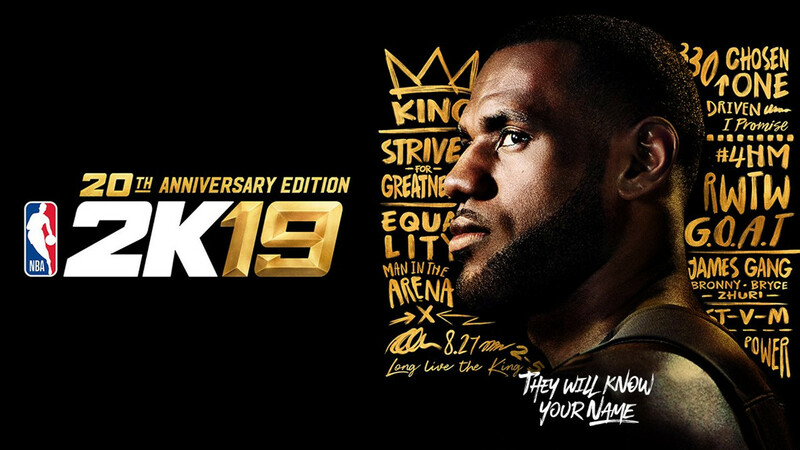 An update has arrived for NBA 2K19 acting as the first patch of considerable substance post-release. Included are primarily fixes within a variety of modes rather than additions or improvements. All fixes will apply without having to restart any current saves. ♦OTFC offensive gameplan panels are now available for users in MyTEAM/MyLEAGUE/MyGM game mode variants. ♦Users are now able to properly add 3-point plays when customizing a team’s playbook. ♦(Nintendo Switch) Crew Invites should now function properly when attempting to invite via the Who’s Online App. ♦Addressed a case where some users would always see 0.0 on the game clock in specific MyCAREER saves. ♦Fixed issue where VC payouts were not being paid for all in-game milestones if you hit multiple in-game goals. ♦Fixed issue where custom jumpshots would not get saved when making a change and leaving the My Animations menu. ♦Made a number of improvements to the Strikeout game experience inside your MyCOURT. ♦Addressed a case where the user was unable to scroll the calendar to the left when viewing it from inside the Locker Room. ♦Fixed a rare crash that could occur as the Power Rankings overlay was brought onto the screen during MyCAREER games. ♦Fixed an issue where a MyPLAYER in an inactive role was unable to earn minutes and make it into the team’s rotation. ♦Face scanning has been enabled while in the Neighborhood, which will allow you to update your scan, or apply your first one. ♦Fixed a hang that could occur when attempting to save and exit the Crew uniform editor immediately after entering it. ♦Fixed an issue where some users would lose functionality after losing a game in Ante-Up when entering it as a squad. ♦Fixed an issue where the user would sometimes hang when entering the tattoo shop in the Neighborhood. ♦Users are no longer able to start dribbling off the check, rather than having to pass the ball in during Neighborhood 3v3/2v2 games. ♦Disabled steal and chuck commands during check ball situations to prevent the offense or defense from having an unfair advantage in Neighborhood games. ♦Long hairstyles will no longer be seen clipping through hats in the Neighborhood. ♦Fixed a case where the user team’s basket would not be counted when playing a 3v3 game versus the AI inside your MyCOURT. ♦Users in a squad are now able to enter the starting area for Red Ball Blue Ball/Dodgeball when the other members of the squad are not present in your instance of the Neighborhood. ♦Fixed a case where a win was not being tallied at the conclusion of a Crew game in the Neighborhood. ♦The user’s VC balance will now immediately update after winning VC on the free daily spin wheel in Ante-Up (the displayed balance ♦was slow to update prior). Make sure you log in each day for your free spin! ♦Addressed cases that would prevent some users from properly matchmaking when they were the last player to join the shootaround. ♦Fixed a matchmaking issue where if anyone joins the Shootaround AFTER the owner set the game to Private, it would reset the match to Ranked. The other team involved would search for an opponent and be unable to find one. ♦Scrolling in the auction house has been slightly sped up to allow for easier browsing of cards available for auction. ♦Diamond contracts now have an increased starting minimum and maximum price in the auction house. ♦Addressed a rare case where a drawn MyTEAM card would remain on-screen during active gameplay. ♦Fixed an issue on PC where some users would hang when attempting to enter Freestyle under the Single Player tab. ♦The Contract Extensions menu should now properly appear for all users in MyLEAGUE Online. ♦Addressed cases that would cause head-to-head MyLEAGUE Online games to disconnect during gameplay. ♦Fixed a rare hang that some users were reporting as they attempted to progress through Free Agency. ♦Addressed a hang that could occur when attempting to enter the Staff menu while controlling multiple teams simultaneously. ♦Offers that the player immediately rejects will now be counted as an extended offer during the free agency period of MyLEAGUE Online.